Yes, I know the title isn’t exactly that original, but I do want to wish all of you a wondrous new year full of all good things – health, fortune, beautiful yarn, and of course crochet! Arthur wishes you a happy new year also, but he enjoyed much merriment and is now in the process of sleeping it off – as I’m sure a certain portion of America is doing, too! Since my mom reads my blog – Hi Mom! – I couldn’t post her Christmas present till now. When visiting last fall, I noticed that her lapghan had really seen better days and needed replacing. My mom has a TV room with olive-colored recliners and a neutral beige/brown couch, and since this room is where she usually uses the lapghan, I wanted to get colors that would coordinate. After returning, I found myself wandering in the yarn section of Walmart and I discovered Lion Brand’s Mandala there, and at a great price too! I chose “Chimera”, which is a beautiful blend of brown, teal, olive, yellow-olive, gold, orange, and fuschia. I used two skeins and mirror-imaged them. What I love the most about Mandala is that the colors are nicely hued – there, but not too bright – and it’s a DK weight, which is fast becoming my favorite. I do wish that it was a little softer, but I guess we can’t have everything. 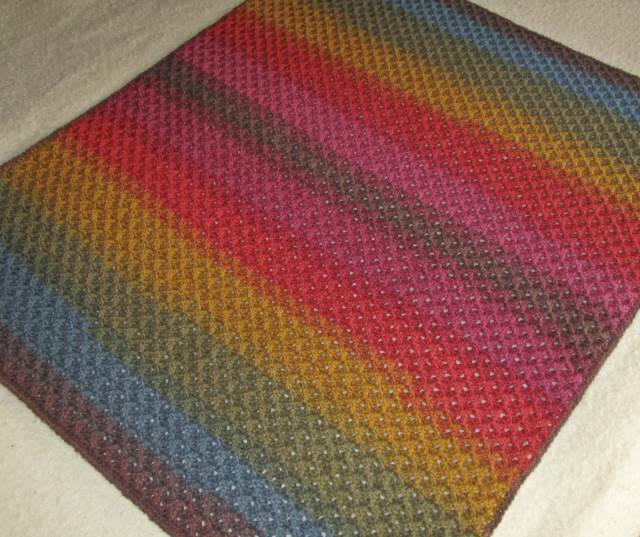 I wanted to make her lapghan out of a no-pill acrylic, but fell in love with the Mandala chimera colors – what can I say? 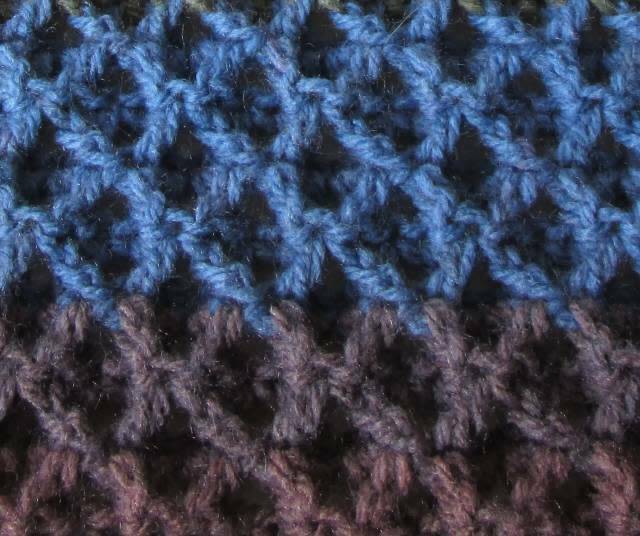 People have asked me about this stitch and I will be making a video to post to YouTube on how to do this. I need to come up with a name (the ones I thought of had been taken) – I think I’ll call it the Diamond X Stitch. It’s reversible, a little stretchy, and a little squishy. 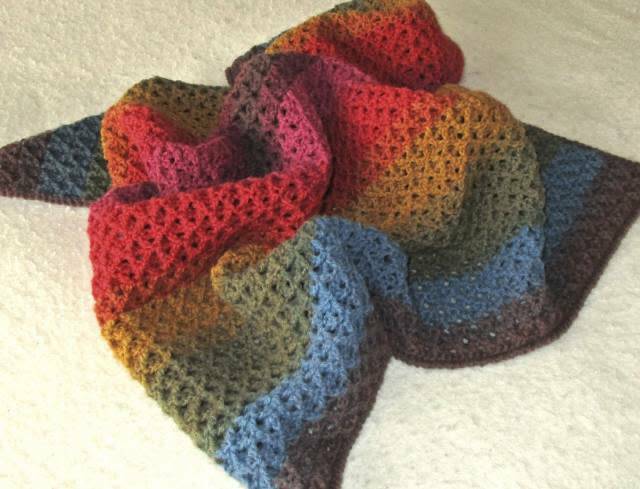 Oh, yes – Mom loved the lapghan and she especially liked that it was light-weight – go DK yarn!